Enjoy comfort and tranquility in this unspoilt rural setting, surrounded by beautiful woodland. 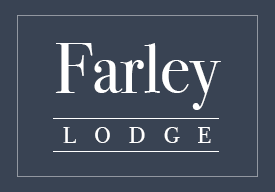 Set in a 2,000-acre woodland nature reserve on the glorious Hampshire and Wiltshire border, Farley Lodge and Little Farley offer a perfect setting for a holiday or weekend escape. 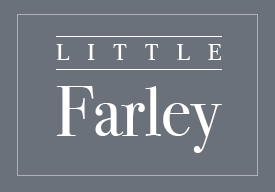 Farley Lodge (sleeps 6) is an ideal getaway for family and friends, and Little Farley (sleeps 2) provides a private and snug hideaway for two. Both are situated close to the village of Farley, Wiltshire, on the owner’s secluded 32-acre farm and provide a home from home. The properties are surrounded by the beautiful Bentley Woods nature reserve, a site of Special Scientific Interest and thriving habitat for rare butterflies and an abundance of other wildlife. The historic cities of Salisbury and Winchester, the unique New Forest National Park and the ancient heritage site of Stonehenge are all a short drive away. ‘We were made to feel very welcome – little touches like milk in the fridge and cupcakes on arrival’. The Lodge was fantastic – our 2 young children wanted to ‘stay forever’ (as did we!). Will definitely visit again. Thoroughly enjoyed our holiday and had a very happy and tired Annie dog!